Sirius K-9 Solutions is a wildlife-detection dog service that works in harmony with nature to manage problematic and potentially harmful wildlife populations. Our Canada goose control program follows nature’s own. In a balanced ecosystem, predators, like coyote, fox and crows, would steal a large amount of Canada goose eggs from nests, keeping hatch rates at an acceptable level. 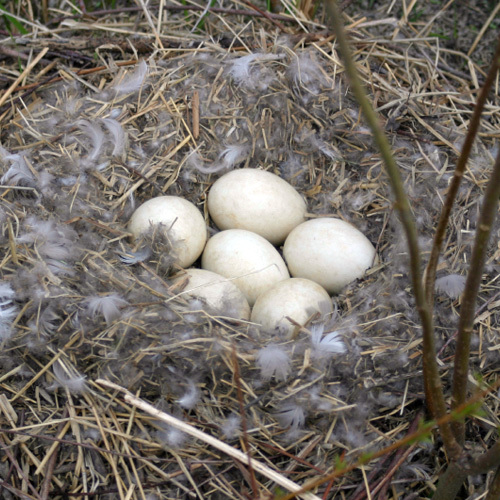 With the current predator-prey imbalance, predators cannot keep up with the number of Canada goose eggs laid. Our highly trained detection dogs locate Canada goose nests and firmly, but gently move parent geese away from the nest. Handlers, then "addle" the eggs following the Humane Society of the United States (HSUS) protocols. Our handlers are certified egg addlers through HSUS Humane Society University. Egg addling significantly reduces the hatch rate, which means fewer new geese in the short tern and, in the long term, a reduction in the overall Canada goose population and restoration of the natural habitat. 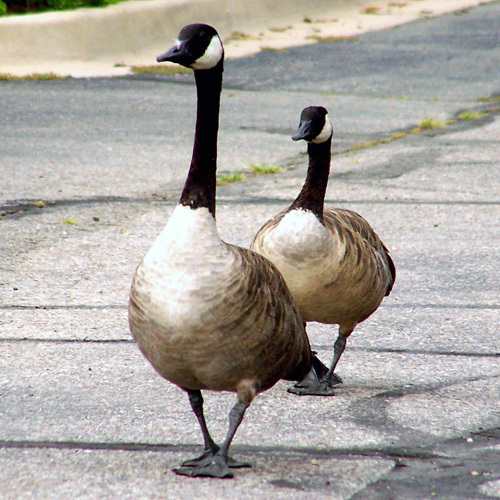 In the spring, geese test out ponds as potential neighborhoods to nest and rear goslings. Like all families, they look for a safe, peaceful environment to raise their family. In the wild, geese test ponds for predators and, if necessary, move on to a more suitable habitat. Sirius K-9 Solutions recreates the predator’s role in a safe, structured way: our specially trained dog-handler teams chase geese off land and water and, after several visits, geese are convinced the dogs’ presence is constant and leave permanently. Get a free consultation and quote today! Come to Sirius K-9 Solutions' December 6, 2014 NW ORT! Click here to download the Premium!